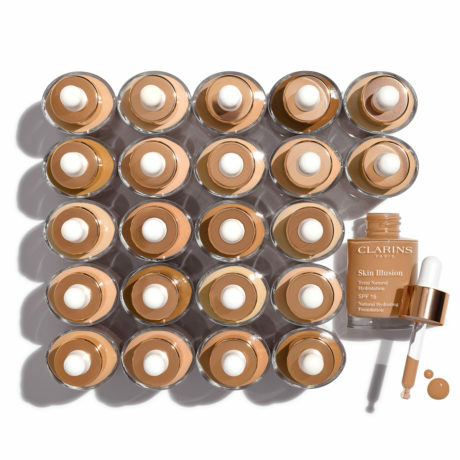 As a Higher Tier CLARINS Gold Salon, Frontlinestyle is always at the forefront in introducing the latest offers and products from French global beauty brand CLARINS. 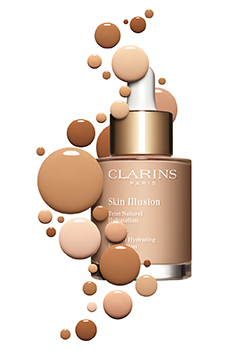 The latest exciting new skincare from CLARINS, available from the 26th August is Skin Illusion; an incredible new formula which fuses lightweight pigments with nourishing oil. This killer combo uses Organic Leaf of Life which provides skin with up to 24 hours of hydration. Freshness and a youthful glowing complexion are the key results of this natural ingredient with the secret of its success lying in flawless skin without masking its natural beauty. Our team of experts can assist you in finding the right shade of NEW Skin Illusion foundation effortlessly and accurately. Available in 22 shades, you can be sure to find exactly the right colour match so that you will look like you…only better!